1. The number of Automated Teller Machines (ATMs), which stood at a little over 27,000 as at end-March 2007, has increased to over 1.6 lakh across the country by end-March 2014. During the same period, the Point-of-Sale (POS) infrastructure has increased from 3.2 lakh to 10.65 lakh terminals. The ATMs are being gradually leveraged by banks to deliver other financial and non-financial products to their customers. Meanwhile, White Label ATMs (WLAs) have also been introduced in the country with the objective of increasing the ATM density and also building the rural and semi-urban ATM infrastructure. However, despite this growth, the deployment of both ATMs as well as POS infrastructure in the country is lop-sided with a significantly large presence in metropolitan and urban areas as compared to rural and semi-urban areas. 2. Recently, a few banks and the Indian Banks’ Association (IBA) had approached the Reserve Bank seeking changes in the extant instructions regarding free transactions at other banks’ ATMs. 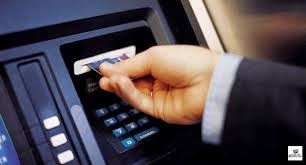 Referring to the growing cost of ATM deployment and maintenance incurred by banks on the one hand as well as the rising interchange out-go due to these free transactions, the IBA had sought the removal of free transactions at other banks’ ATMs at metro centres and other large townships in the country. 3. In this regard, we draw attention to our circular DPSS No. 1405/02.10.02/2007-2008 dated March 10, 2008 as well as IBA circular No. CE.RB-1/atm/1284 dated August 31, 2009 on levy of service charges for use of ATMs. Reference is also invited to our circular DPSS.PD.No. 2632/02.10.002/2010-2011 dated May 27, 2011 which, inter alia, state that five free transactions per month (inclusive of financial and non-financial transactions) is permitted at other bank ATMs. Taking into account the high density of ATMs, bank branches and alternate modes of payment available to the customers, the number of mandatory free ATM transactions for savings bank account customers at other banks’ ATMs is reduced from the present five to three transactions per month (inclusive of both financial and non-financial transactions) for transactions done at the ATMs located in the six metro centres, viz. Mumbai, New Delhi, Chennai, Kolkata, Bengaluru and Hyderabad. Nothing, however, precludes a bank from offering more than three free transactions at other bank ATMs to its account holders if it so desires. This reduction will, however, not apply to small / no frills / Basic Savings Bank Deposit account holders who will continue to enjoy five free transactions, as hitherto. At other locations i.e. other than the six metro centres mentioned above, the present facility of five free transactions for savings bank account customers shall remain unchanged. ATM installing banks are advised to indicate clearly at each ATM location that the ATM is situated in a ‘metro’ or ‘non-metro’ location using appropriate means (message displayed on the ATM / sticker / poster, etc.) to enable the customer to identify the status of the ATM in relation to availability of number of free transactions. Further, banks are advised to ensure the “ATM location identifiers” in their ATM database is accurate and kept up-to-date at all times so as to minimise disputes, if any, in the matter. The issuing banks are also advised to put in place proper mechanisms to track such transactions and ensure that no customer inconvenience or complaints arise on this account. The provisions related to levy of charges for use of own-bank ATMs, vide our circular dated March 10, 2008, has also been reviewed. Accordingly, banks are advised that at least five free transactions (inclusive of financial and non financial transactions) per month should be permitted to the savings bank account customers for use of own bank ATMs at all locations. Beyond this, banks may put in place appropriate Board approved policy relating to charges for customers for use of own bank ATMs. The ceiling / cap on customer charges of Rs.20/- per transaction (plus service tax, if any) will be applicable. Banks are advised to ensure that the charges structure on ATM transactions, as per their Board approved policy, is informed to the customer in a fair and transparent manner. Further, banks are advised to put in place suitable mechanism for cautioning / advising / alerting the customers about the number of free transactions (OFF-US as well as ON-US) already utilised during the month by the customer and the possibility that charges may be levied as per the banks’ policy on charges. 6. This directive shall come into effect from November 01, 2014.